My philosophy is tinted moisturizer/BB cream for daytime, and a medium to full coverage foundation sans SPF for nighttime and special occasions. Lately, I have been completely obsessed with trying every tinted moisturizer and BB cream I could get in my makeup addicted hands. I love how easily I can slather tinted moisturizers and BBs with my hands for a quick FOTD. The ease of going from light to medium coverage is also a perk. The Smashbox Camera Ready BB came as a sample in a recent Sephora haul. 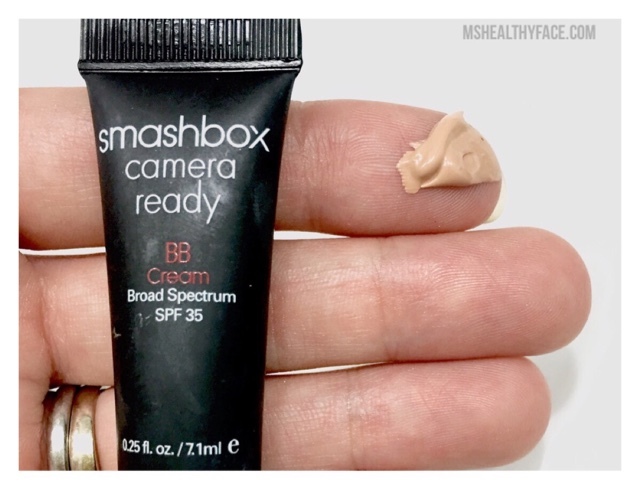 Smashbox's BB provides SPF 35, and is available in 8 different shades. Generally, for a no makeup makeup look, I only need about a pea-size for my entire face. I think the 1 oz. size would last me quite a while, probably 3 or 4 months. Sephora offers two shades in .5 oz travel sizes -- "Light" and "Light/Medium". Although, I was sent 'Light" instead of "Light/Medium", I was still able to make it work after bronzing and blush. *For reference, I am NC25 in MAC. I admit that I totally underestimated how much I would like the Smashbox BB. I was pleasantly surprised at how long it lasted -- a good 6-7 hours. Although the matte finish formula is thicker than my watery Nars Pure Radiant Tinted Moisturizer (which I wear in St. Moritz), it worked surprisingly well with my dry skin. To the naked eye, the matte finish does make you look "Camera Ready", but I would look for something with more coverage for a super important day, like a wedding or school pictures. On the daily, I prefer a more demi-matte finish so, I have been mixing Smashbox's BB with my super dewy Nars Tinted Moisturizer. I have actually noticed longer staying power with my Nars by mixing the two. I am thinking about ordering a "Light/Medium" and a lighter shade of my Nars tinted moisturizer to mix for the upcoming Fall/Winter. This is definitely a must try. Available at Sephora, Nordstrom, ULTA, Macy's, and other retailers for $39.00 1oz./$19.50 .5oz. 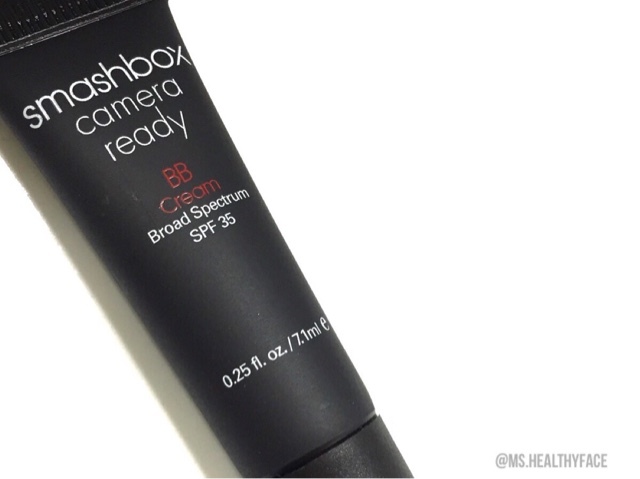 Have you tried the Smashbox Camera Ready BB?